Find hotel near Calvia Cycle And Jogging ..
Calvia Cycle & Jogging Path is a circular route which can be taken for going through the main towns of Calvia. On the first day, tour the weekly market of Calvia and then head towards Palmanova to view some amazing beaches. Stay back in the resorts of Magalluf and Son Ferrer and then head towards El Toro which is a small resort, located on the top cliff on a little bay. 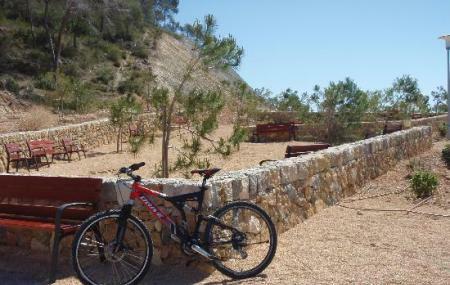 The archeological sites of Puig de sa Morisca can be seen, following the road that leads to Santa Ponca. How popular is Calvia Cycle And Jogging Path? People normally club together Playa Nudista El Mago and Cruz Del Descubrimiento while planning their visit to Calvia Cycle And Jogging Path.